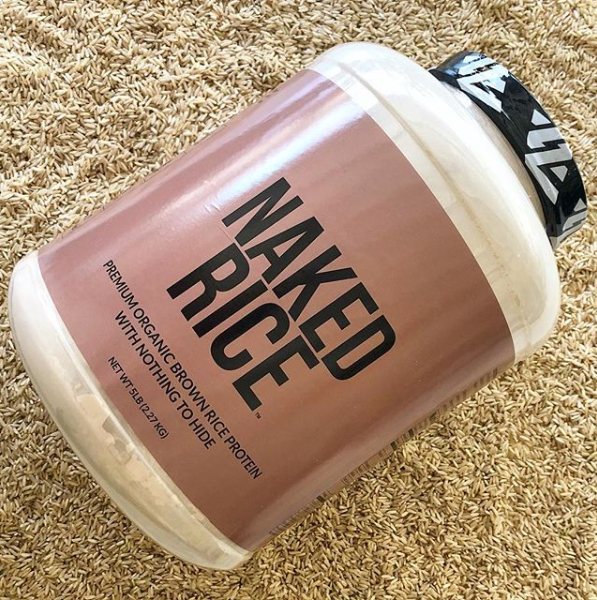 Naked Rice is an organic brown rice protein. It contains only one ingredient. ONE INGREDIENT! That is unheard of for a protein powder. The one ingredient is organic sprouted brown rice. It is organic, non-gmo, vegan, soy free, gluten free, and dairy free. Naked Rice does not contain any artificial flavors, sweeteners, or colors. 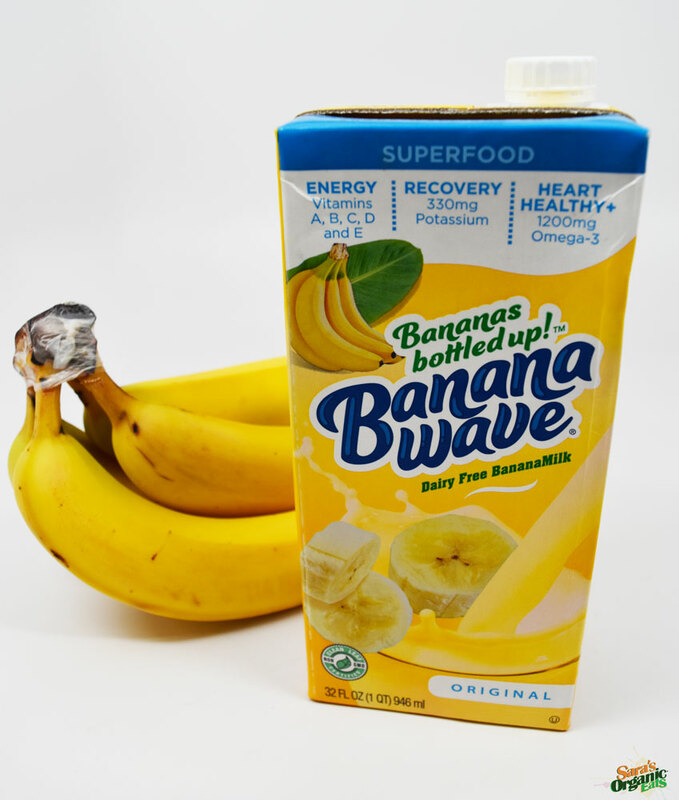 I’m bananas for Banana Wave! Move over almond, coconut, and cashew milk, because BananaMilk is taking the dairy free alternative milk by storm. It is one of the newest dairy free alternative milks made entirely from bananas and other superfood ingredients. Have you ever wanted to drink a creamy and delicious banana but without the cream and all the taste? 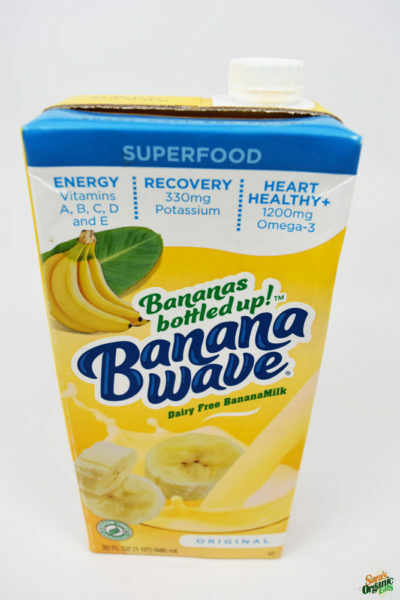 Well now you don’t have to worry, because Banana Wave has arrived. 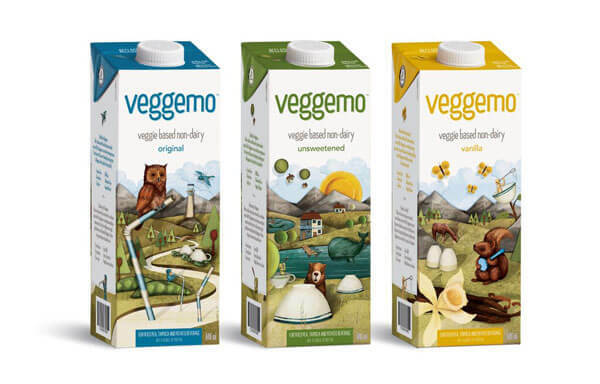 Veggemo is a new non-dairy milk product that is made from vegetables. Non-dairy milks like soy, almond, and coconut are dominating the shelves these days so the producers of Veggemo wanted to do something different. They are the first in the non-dairy category to make alternative milk strictly out of vegetables. If you are allergic to dairy, soy, gluten and mainly nuts then this is the product for you! Veggemo is made from a proprietary blend of tapioca starch, potato starch, pea protein, and enzymes. It also contains fortified vitamins like vitamin D, calcium, and B12. The tapioca and potato are what give the milk the smooth and creamy taste while the pea protein is what provides the nutrition and flavor. The flavors include unsweetened, vanilla, and original. Veggemo is dairy free, gluten free, nut free, soy free, cholesterol free, NON-GMO, vegan, and kosher. It is made with some organic ingredients but it is currently not 100 percent organic. Veggemo tastes great in cereal, on its own, in smoothies, and in many of your favorite recipes. Unsweetened– it is very smooth, not sweet and has a hint of a nut taste. Vanilla– The vanilla is smooth with a subtle taste of vanilla and it is the perfect amount of sweet. Original– the original is very smooth with the perfect amount of sweet. Overall, my favorite is the vanilla. They all have a smooth and creamy taste with a slight nut flavor, but of course it does not contain any nuts. The vanilla and original are not overbearingly sweet which is wonderful. Also, they don’t leave you with an aftertaste like most nut milks do. Even though Veggemo is marketed as a veggie based milk, it does not taste like veggies at all. I found Veggemo at the Natural Products Expo West and it caught my eye because of how original it is, with a taste to match. Currently, Veggemo is in stores all over Canada but will be available in stores in the United States very soon. So make sure you keep a lookout for Veggemo in a store near you and try this unique new non-dairy beverage made from veggies. Follow them on Instagram (@go_veggemo) . Have you ever wanted to take “a natural trip to paradise” but you were stuck in the snowy weather up North or you live in an area without a beach? Well, now you can with Matt’s Munchies! 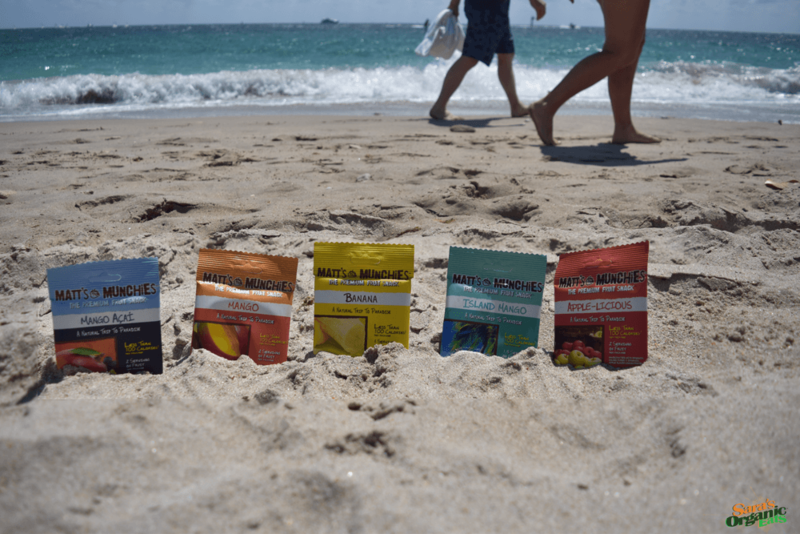 Matt’s Munchies is a premium fruit snack that has less than 100 calories for the whole pack. There are 1 to 2 servings of fruit in each package. Matt’s Munchies are certified organic, vegan, soy free, peanut free, dairy free, gluten free, NON-GMO Project Verified, and kosher. The best part of all is that each flavor has 3 ingredients or less with ingredients you can pronounce. Could this snack get any more perfect? Have you ever felt an instant attraction to someone and then you found out that they had dietary restrictions? Maybe your first thought was this person is high maintenance, prestigious, stuck up, and you ran for the door before you even asked them for their number. But why is having dietary restrictions a sign of high maintenance, prestige, and entitlement? When someone eats a certain type of way, others get intimidated and view this person as high maintenance or abnormal. They think they won’t be compatible because of their differences in food habits. Or, they think going out to eat will be a constant struggle. It is unfortunate because you could be missing out on a wonderful person just because they eat a certain type of way. That is silly. Food should not be a deal breaker. Unfortunately, living an organic lifestyle has been linked to a person who is all those adjectives that I mentioned. That is strictly based on the fact that organic is linked to the expensive prestigious diet, which is so untrue. But let me tell you that just because someone eats organic that doesn’t mean that the person has a sense of entitlement, at all. If you are afraid that the person who has different eating habits will push their views on you and try to change you, don’t be. That rarely happens contrary to popular belief. Remember, you don’t have to change for anyone and no one has to change for you. It is an awesome experience to date someone who eats totally different from you. 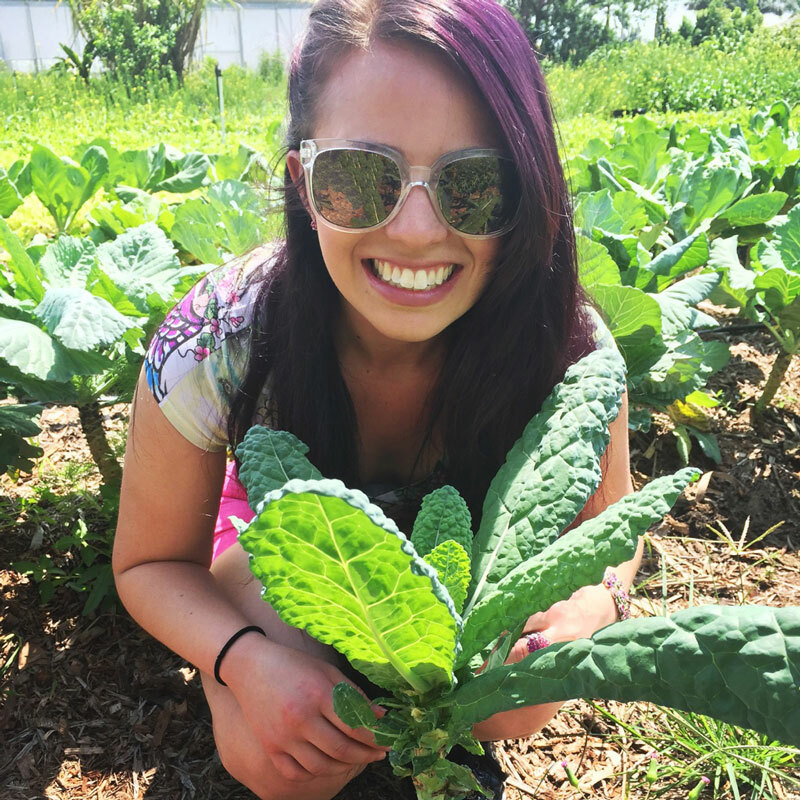 It is a great way to learn about new foods and how to be more compassionate for someone who is either forced to have dietary restrictions or chose a new lifestyle. You’ll get to try new restaurants, new products, and new food items that you never knew about. Luckily, I have not personally experienced rejection because of my organic lifestyle. I have come across some awesome people who have supported me which I greatly appreciate. And, I never try to change someone either. But, to those of you that have been turned down for your dietary restrictions, I just want to tell you that you will find someone great who understands and supports you. So, please don’t write off a person just because they follow an organic, vegan, vegetarian, gluten free, dairy free, nut free, paleo or kosher lifestyle. Every person has something beautiful to offer you and his or her eating habits should not deter you from getting to know that person. *Disclaimer: Surrounding yourself with someone who leads an alternative food lifestyle and knows how to cook and bake may result in healthier, great tasting food, just saying :). This organic creamy chocolate mousse is so easy to make. You would never know that it is dairy free and vegan! It does not contain any refined sugars, dairy, gluten, eggs, or artificial flavors. There are only 5 organic ingredients that make up this recipe. This is what I call a superfood dessert that tastes super delicious. 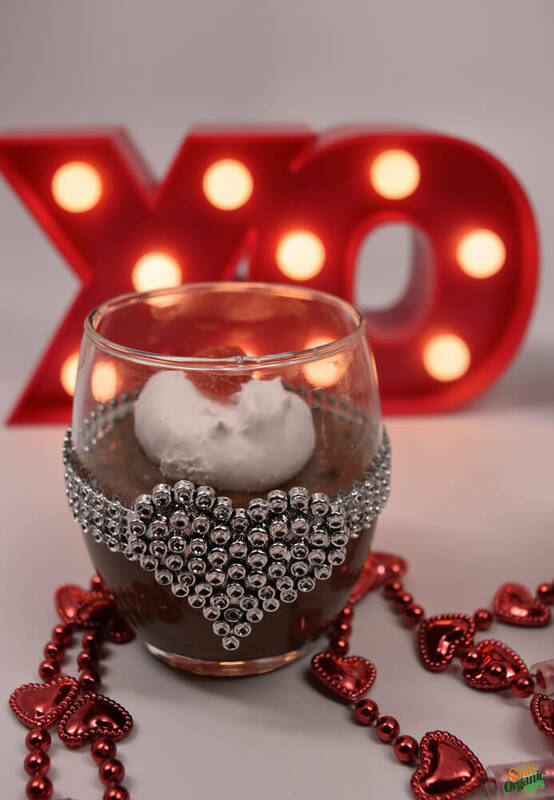 You can make this creamy chocolate mousse on Valentine’s Day for a healthier yet decadent dessert to share with your valentine. 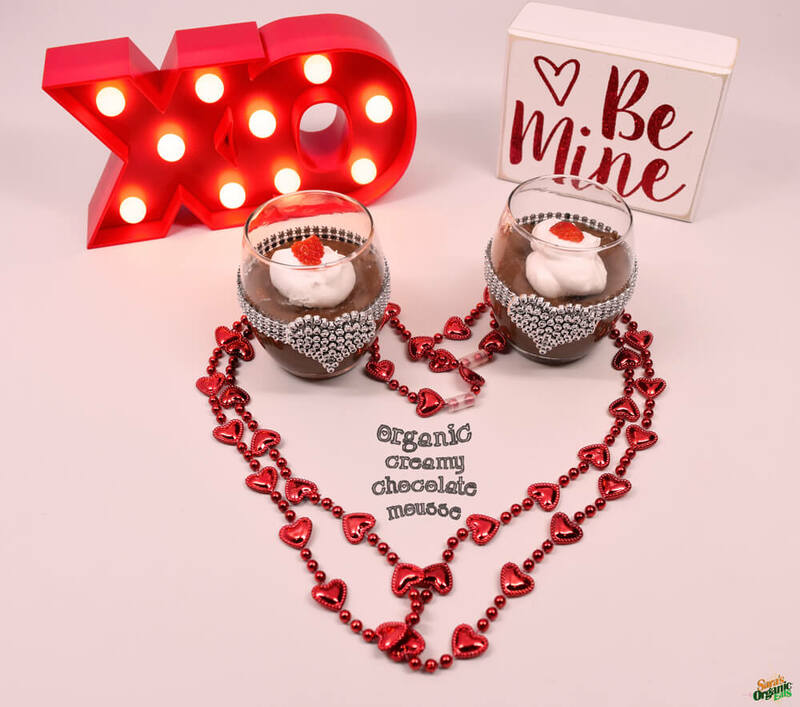 Valentine’s Day is all about the chocolate, so why not make a dessert that contains healthy nutrients and tastes amazing. This organic creamy chocolate mousse is too good to be true. It is so hard to find healthier desserts that taste good! This one is unbelievable. You can add coconut whipped cream as a topping to the mousse. For this recipe, I used Cocowhip from So Delicious. You can buy find it in the freezer section of your natural grocery store. Click on the link for more information, So Delicious CocoWhip. These are the brands that I used for this recipe. Place coconut cream in a stand mixer with the whip attachment. Whip the coconut cream on high for about 5 minutes until slightly thick. 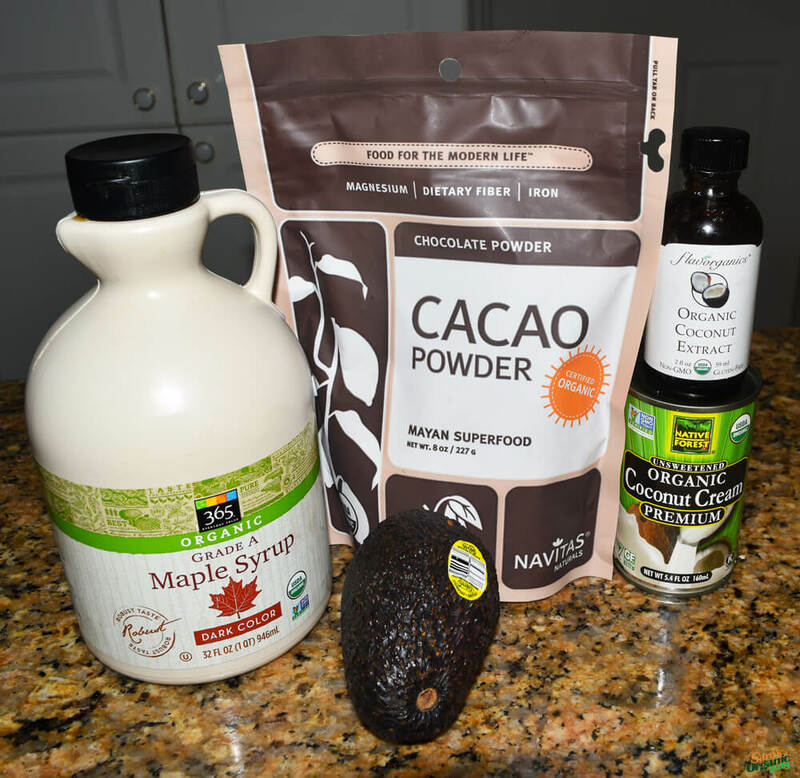 Place avocado, cacao powder, coconut extract, and maple syrup in a food processer and mix until combined about 2 minutes. Make sure to scrape the sides after a few seconds. Once both are mixed, add the chocolate to the whipped coconut cream and fold in. Place in closed container and refrigerator for 1-2 hours until cold. 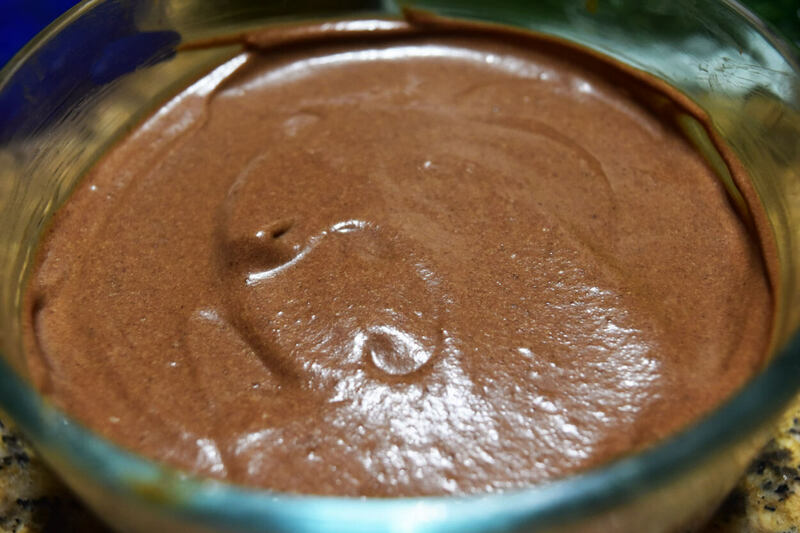 I hope you all enjoy this delicious, easy, organic creamy chocolate mousse. I make organic baked carrot fries all the time as a side dish to many meals. Not only is it super easy to make but it is also healthy and low carb. This recipe is also full of flavor. This is also a delicious and fun way to get a serving of veggies in your diet. You can make this recipe as a side with burgers, veggie burgers, or with pretty much anything. Carrot Fries pairs well with many dishes. I have made this recipe several times when we have barbecues, family gatherings, and just any normal dinner during the week. Most of the time when my family or guests look at it, they think it is sweet potato fries. Even though it does look like sweet potato fries, it of course is carrots but everyone ends up loving them. You just feel so much better eating carrot fries than you would regular potato fries. On top of that, they are baked and not fried. This recipe is gluten free, dairy free, vegan, vegetarian, soy free, and paleo. After you peeled the carrots, cut them into sticks. Place them in a mixing bowl with the oil and seasonings. Then, put the cut carrots side by side on a foiled baking sheet and bake them in a preheated oven of 375 degrees for about 40 minutes. This is what they look like after they are done baking. They come out crispy on the outside and soft on the inside. I also can’t forget to mention that they are super delicious! Preheat oven to 375. 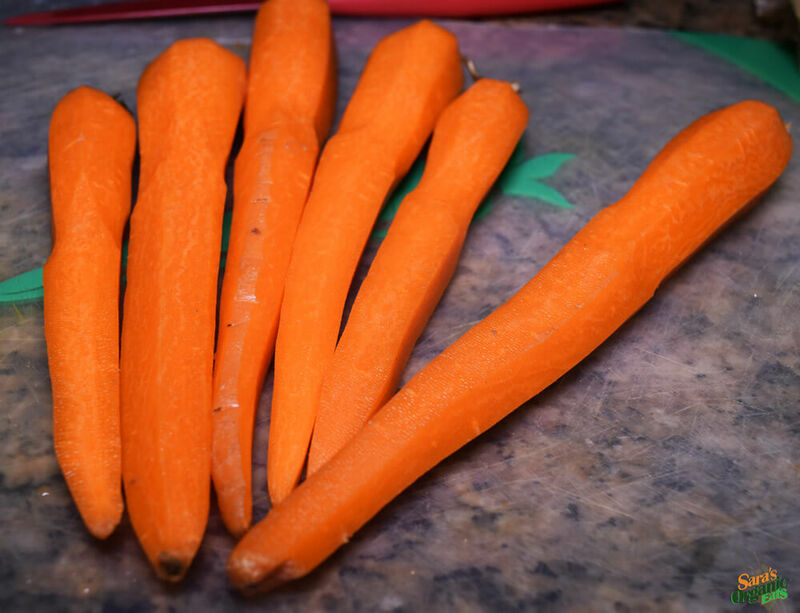 Wash and peel the carrots and cut them into sticks. Put them in a large mixing bowl with the olive oil and spices. Mix until well coated. 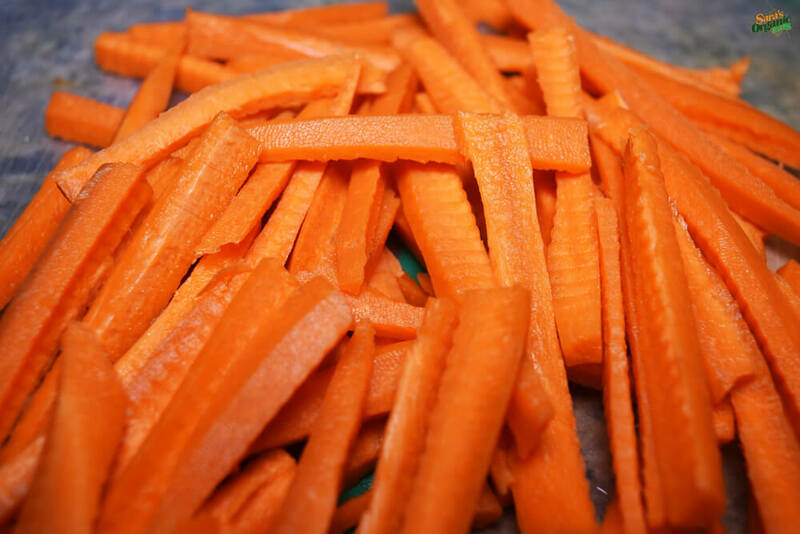 Place the carrots side by side on a large baking sheet lined with aluminum foil. Cook for about 40 minutes until they are lightly crisp. Feel free to adjust the seasonings to your liking. 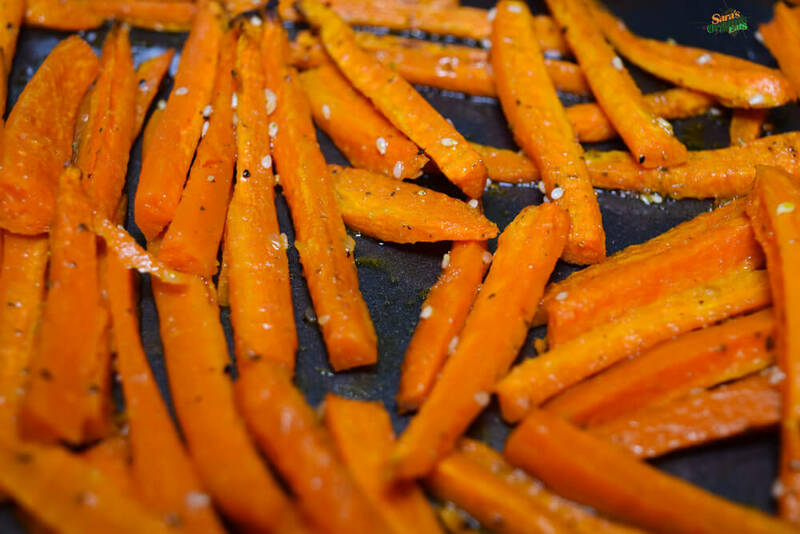 I hope you enjoy this recipe for organic baked carrot fries! Are you tired of the same lackluster sorbet flavors that crowd the shelves of your local grocery store? Well then you must try Sorbabes! Sorbabes is the first sorbet company to use whole nuts as their base and chunky toppings without any unrecognizable ingredients, dairy, gluten, GMO’s, or corn syrup. It is made with plant-based, ethically sourced ingredients and it is also Vegan. I found this wonderful company as I was walking through the Next Pavilion at the Natural Product Expo and I was blown away on how amazing these sorbets tasted. You can actually taste all the flavors of the description as opposed to other sorbets where you pretty much just taste its’ base which is normally dairy free milks. The secret to their amazing tasting sorbet is purified water, which is the base throughout each flavor along with whole nuts. 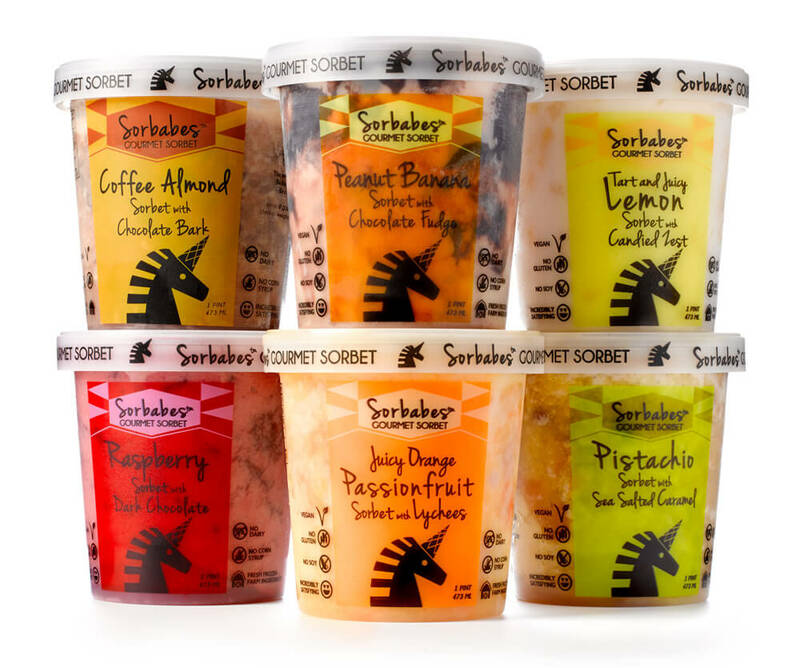 For those of you who cannot have dairy or if you are vegan, you will surely enjoy Sorbabes decadent flavors and will not miss out on real ice cream. There is no such thing as an ice cream “substitute” when it comes to Sorbabes as anyone can enjoy this creamy rich sorbet with benefits. The sorbets are so smooth and they are not too sweet which make for a perfect cooling dessert. The packaging is just as cool looking on the outside as the amazing taste of the sorbets on the inside. You can’t go wrong with any of the flavors you choose. It is very difficult for me to pick which one is the best because they are all equal and it depends on what type of mood you are in that day. But if it your first time and can pick two I would go with the Raspberry Sorbet with Dark Chocolate and the Peanut Banana Sorbet with Chocolate Fudge. Sorbabes is currently on shelves in the New York area but make sure to keep up with them to see when they will arrive to a city near you!